Take your pick of Canberra’s best adventure training activities, for kids from 7 to 17! Become a Ninja with our Ninja Warrior, Spartan and Obstacle programs. Battle it out over our obstacle course. 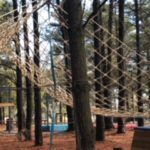 Celebrate your birthday, climbing, crawling, running, hanging and laughing through our obstacle course. Or be part of our new Ninja 101 Classes.